Eight months have passed since the New York Mets swept the Chicago Cubs in the 2015 NLCS, and the Amazin's will look to keep their streak going when they welcome the Cubbies to Citi Field for four games this weekend. It comes as no surprise, then, that three of the series' games crack our top MLB games list this week. A NL Central battle between the Brewers and Cardinals will take place at Busch Stadium on Saturday. 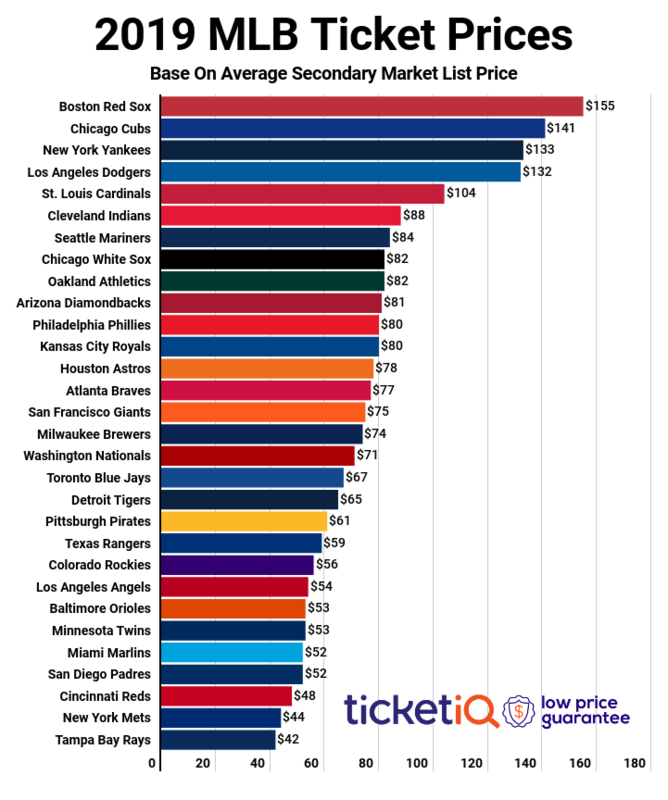 In what will be the most expensive game of the week, Cardinals tickets on the secondary market currently average $173.12 and the cheapest ticket is listed from $16. Prices are likely being dictated by a Matt Carpenter Batting Practice Jersey Giveaway, which will be given to the first 30,000 fans in attendance. The third of a four-game series, the Mets and Cubs will convene at Citi Field on Saturday in the second most expensive game this week. Mets tickets against the Cubs on Saturday are averaging $137.98 and the get-in price is $36. A post-game fireworks show will follow the NLCS rematch game from a season ago. The series finale at Citi Field on Sunday will serve as the third top-priced game this week. The first 15,000 fans will receive a Yoenis Cespedes Compression Sleeve, an accessory the Mets' center fielder made famous upon his arrival in New York via trade last summer. Tickets are averaging $134.16 and the get-in price starts from $31. It hasn't been the strongest start for the Blue Jays this season, but the team has managed to stay afloat in the AL East and are just five games behind the first-place Orioles at the start of the week. They'll host the Indians for four games at Rogers Centre this weekend, and Friday's game will be the most expensive game of the series. Blue Jays tickets for Friday's matchup with the Indians now average $127.81 and the cheapest ticket is $28. Rounding out this week's top games list will be a Friday game between the Mets and Cubs. A Jacob deGrom-themed shirt will be given out to all fans in attendance, which is likely driving big prices on the secondary market. Mets vs Cubs tickets on Friday now own a resale market average of $125.64 and the get-in price starts is $28.